Proofreading is a very important step in creating your research paper or essay. Both of these documents are meant to be read by someone else, so you need to take special care about this step. Proofreading is essentially an examination of your content and the goal is to find typing or any other kind of mistakes. These mistakes are usually typing mistakes, bad punctuation, sentence structure issues and more. 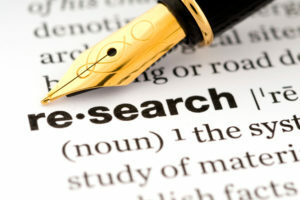 In this case, research paper proofreading is a must and serious approach is recommended. After you finish your research paper, I recommend taking some rest, even one or two days if needed. 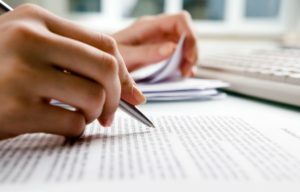 When beginning with proofreading, try to print your document on a paper and read it, because it’s easier to notice errors. When you notice an error, use a pen to highlight it then fix it in your word document. Also, try to check if your info located in your research paper is 100% valid. If it isn’t it’s strongly recommended to fix it, as this kind of document requires true information. In my experience, when doing research paper proofreading, it’s good to have another blank paper and cover the whole paper with it except the line you are reading. This gives you space for concentrating on a single line and allows for more efficient proofreading. If you are doing this on your PC, you can use “Find” option in the word and type words you are most likely to mistake, like “its (it’s) or well (we’ll)”. As for punctuation check, try to read your sentences out loud. This way, you are going to hear how it sounds when speaking, making it easier to notice errors. Also, punctuation is important because in some cases it can change the whole meaning of the sentence. You’ll also want somebody to help you or get help online. There are various websites where you can just paste your work and get complete research paper proofreading, but this is not always reliable. Make sure you go to a website where you can talk to real people who offer 24/7 support for proofreading and this way you can get the best result. 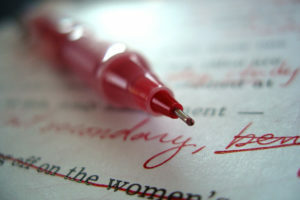 Proofreading is considered to be a final touch to the work, and should not be taken for granted. 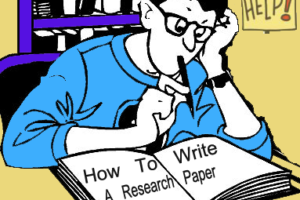 Have in mind that your research paper will probably be published to Academic Magazine so don’t be lazy to do your proofreading right and make sure that you are giving true information.